Instructor Rating : 21 April 1986. Born and bred in Whakatane, brought up on a dairy farm in Awakeri. Went to Awakeri Primary School and then Whakatane High School. Started work stacking shelves in a grocery store and then milked cows for a few years. Followed by pruning a few pine trees before getting my first flying job. 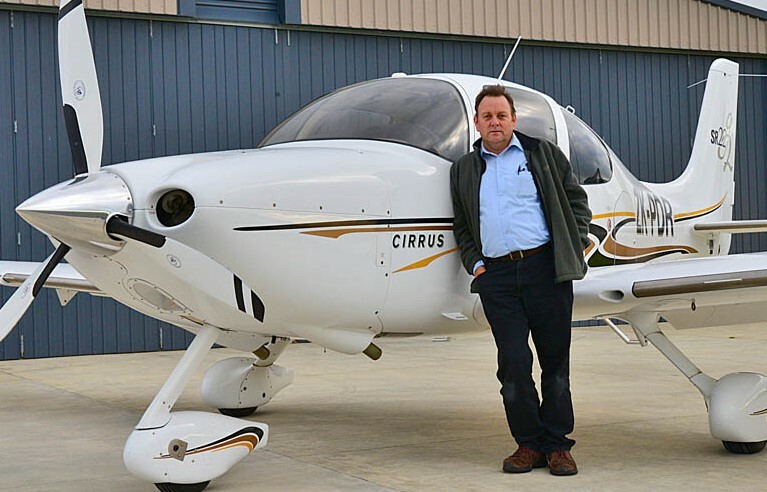 Which was as an Instructor for the Tauranga Club in the late eighties, by the nineties was in the IT Industry writing software and only flying part-time. In the late 2000's I decided I needed to let the aviation bug take over again and got back into aviation setting up Aerohire which I own and run. Amazed looking back as a 17-18 year old with a Private Pilots Licence with number of people who were prepared to come flying with me. Now today in my 50s I drive out to the airport to run the Flying School with the same enthusiasm I had as a 16 year old driving to the airport to Learn to Fly. Learning to Fly is a great challenge in Adventure what makes aviation really intoxicating is the combination of freedom and responsibility. Now my main objective is to see as many people as possible get the same benefits out of aviation that I have been privileged to have.